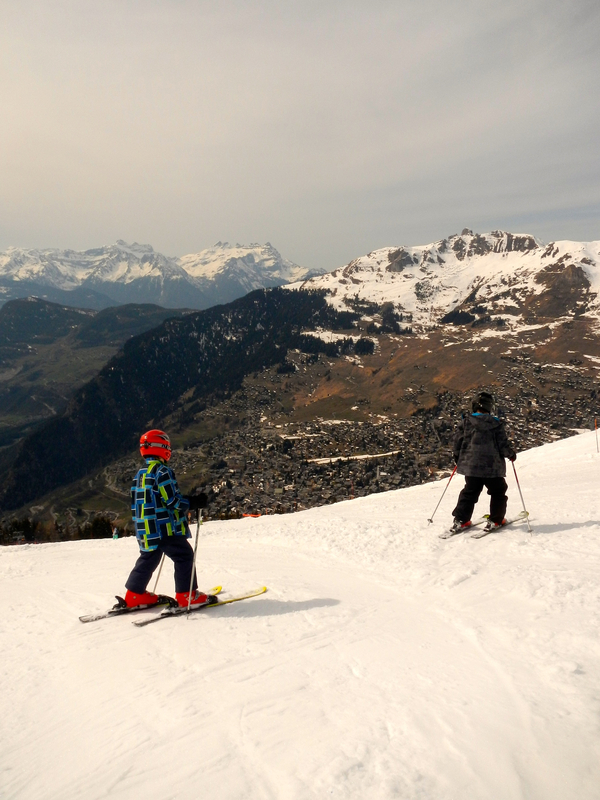 Last weekend of March, temperatures definitely spring-like in the valley, around 20 C. Headed up to Verbier with the boys for some spring skiing. 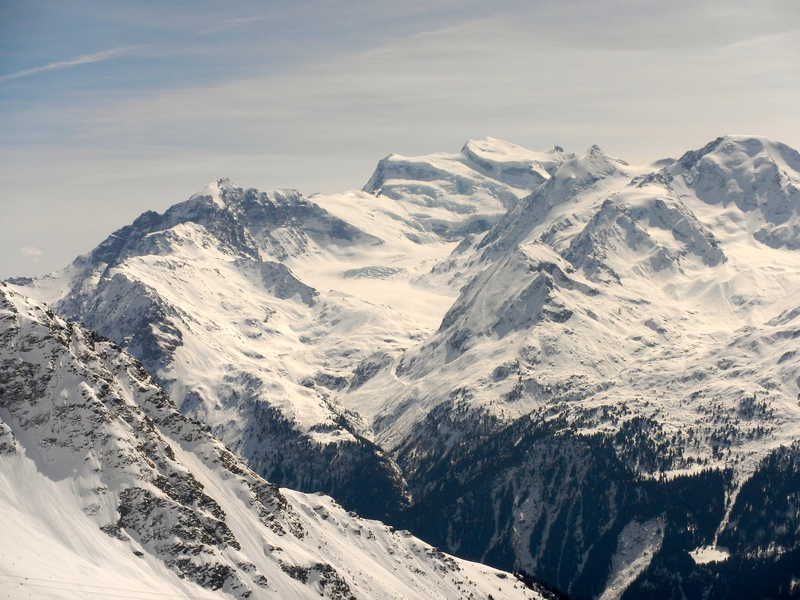 Verbier is one of the higher ski areas, the highest point is Mont Fort at 3300 m, from which it is 1800 vertical descent to Verbier village. 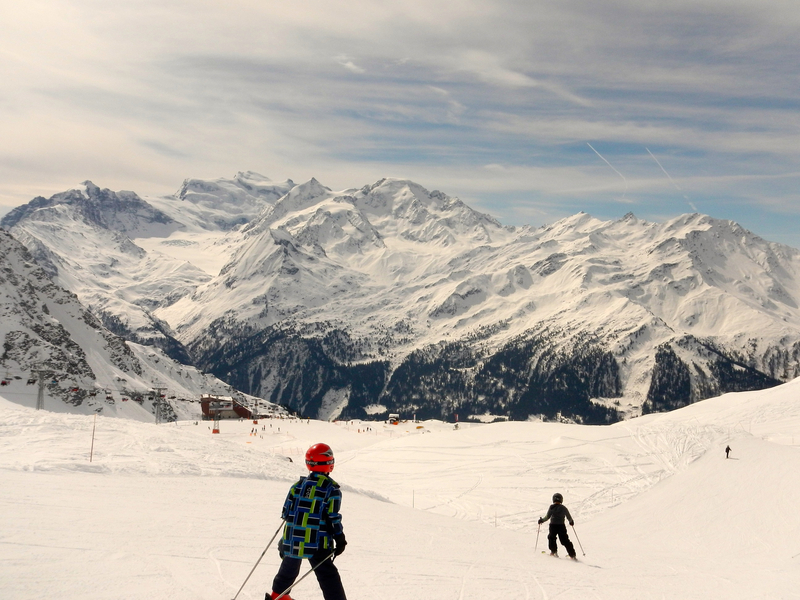 Two boys on the piste at around 2500 m.
The mountain in the distance is Le Grand Combin, at 4300 m one of the highest peaks in the Swiss Alps. The next photo is a somewhat zoomed view of it. Although the weather forecast was for the temperature to be just above zero, with a 15 km/hr wind and wind chill of -4, it was positively hot and we were overdressed. Fortunately, I had a backpack we could stuff outer layers into, and we skied with only two layers . After a break for lunch we headed higher to the Col des Gentianes, which is just under 3000 m altitude. After encountering a white werewolf on a snowboard, we set off back down. Quite windy until we dropped down a little from the exposed ridge. Light cloud, lots of sunshine, and very hot skiing. 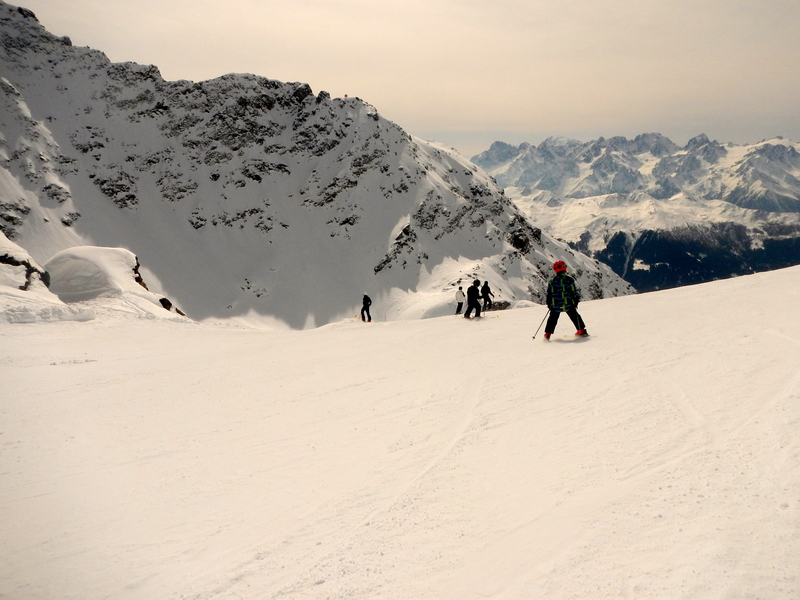 We skied all the way down to Verbier village. The snow was getting slushy towards the bottom, and there was a little bit of waterskiing at the end. 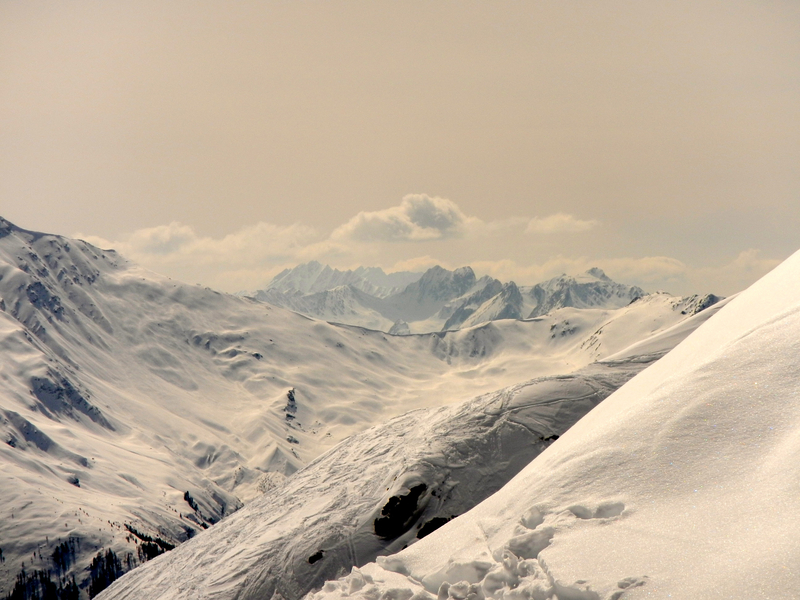 This entry was posted in Mountains, Photography and tagged Alps, skiing, Switzerland, Verbier by colinmathers. Bookmark the permalink. Great scenery. Looks like haute couture ski wear being worn – matching helmet and boots.